Our office in El Salvador held its second one-day training course for young politicians on 20 August. With the help of Mireya Rodriguez, a Venezuelan expert in dialogue and negotiation, the young participants learned skills and knowledge needed to manage conflict. They explored, for example, how dialogue and effective communication influence negotiation processes. In addition, the participants had the chance to take a self-assessment on their negotiating style, which highlighted their individual negotiating techniques and characteristics. The workshop is part of NIMD El Salvador’s fourth Democracy School. This year’s school provides a learning environment for 30 young leaders from all El Salvador’s political parties, as well as civil society. The curriculum comprises 11 one-day training courses, in which the students will explore topics such as negotiation and dialogue, communications and political marketing, citizenship and democracy. 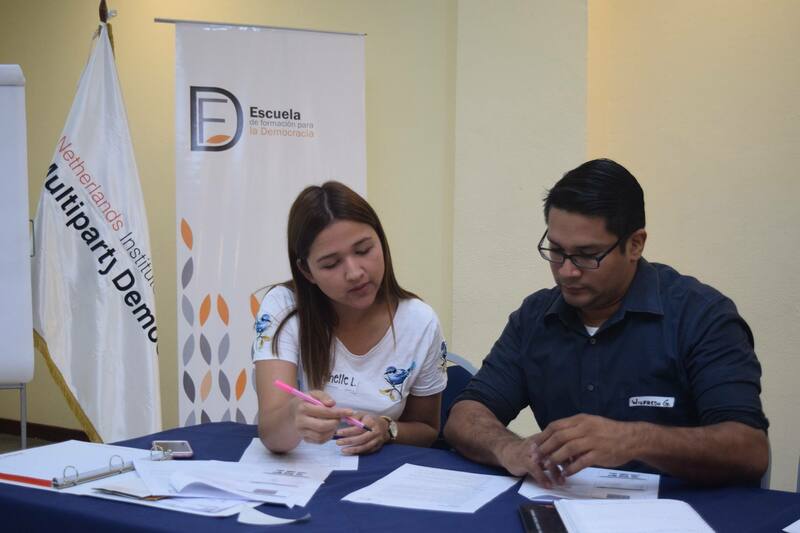 Through the conflict management training and other Democracy School activities, NIMD El Salvador hopes to teach young aspiring political leaders the skills they will need to make a lasting impact on peace and democracy in their country.